According to the latest report from the National Association of Realtors …..”All-cash sales comprised 31 percent of transactions in July, the same as in June; they were 27 percent in July 2012. Individual investors, who account for many cash sales, purchased 16 percent of homes in July, down from 17 percent in June; they reached a cyclical peak of 22 percent in February of this year.” And CoreLogic reports 34% of the nationwide sales in May were cash transactions. Cash deals in the greater Cincinnati real estate market make up anywhere from 21%-25% of the transactions. 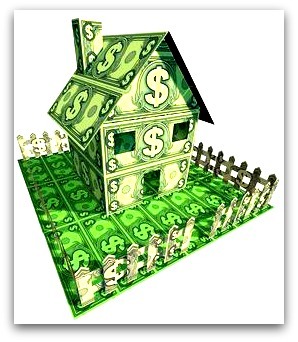 In May of the this year 564 of the 2275 closings on single family homes and condos were “cash” transactions. June- 522 of 2458 and in July 593 deals of 2351. While many of the cash deals were for less expensive properties, Cincinnatians shelled out $1,350,000 in May, $1,304,951 in June and $1,430, 000 in July to close cash deals. (data from: Multiple Listing Service of Greater Cincinnati). It’s often true cash purchase offers are viewed favorably by sellers however, cash buyers need to provide backup documentation detailing access to funds supporting the cash offer. Cash deals also require HUD statements, title searches and a third party, usually a title company, to ensure mortgages, property taxes and other liens are payed as part of the closing. In short -business as usual at closing time. P. S. One final word, even though you paid cash don’t forget to buy title insurance protection.